Issues #14 - 21 can be brought at the Buy CtN page. 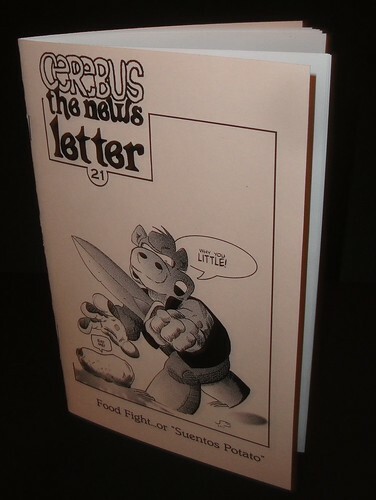 The Friends of Cerebus fanclub originally published the newsletter for 5 issues and then Aardvark-Vanaheim took over for the last 8 issues. Now the newsletter is back in the hands of fans, and is seeking contributions for a quarterly schedule.